Fusing grand design, eco-credentials and quality home-scenting comes a partnership between new beauty and lifestyle brand: DP London and brit designer Pearl Lowe. 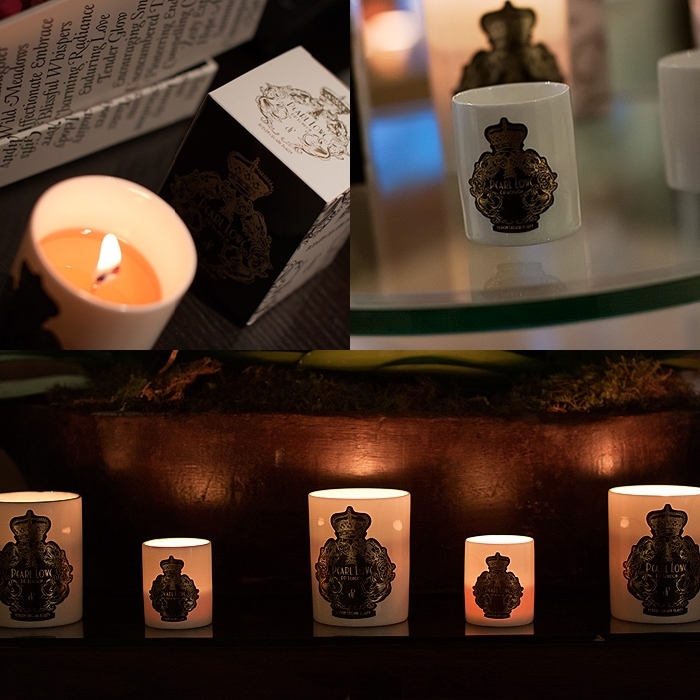 A limited edition candle collection which includes a re-release of three iconic fragrances from the original Davina Peace lineup contrasted with the new design flourish at the hands of Pearl Lowe. Pearl Lowe was said to have fallen in love with the original scents and her collaboration with the brand makes perfect use of her design abilities and keen eye for beautiful things. 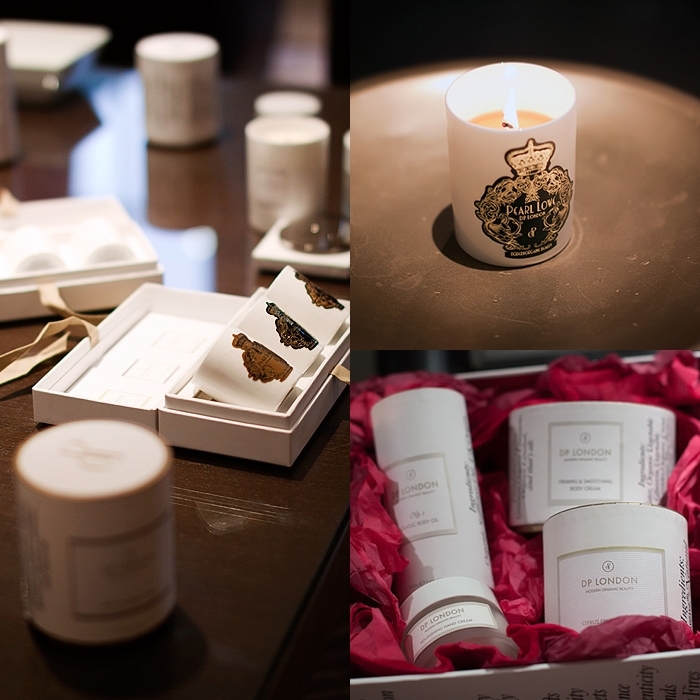 “For me scent is quite simply the ultimate home accessory. I love transforming the mood with these candles and find candlelight so decadent. They envelop a room with scent that lingers for hours, and create complete calm in my home. The travel candles are also amazing as they help me to take a little home comfort with me and also work equally well in a guest room at home” Pearl Lowe. All candles are made containing a sustainable beeswax and EcoSoya blend with an organic fragrance. The range contains no palm oil (a product that contributes to heavy deforestation) and also no paraffin (the mining of which is unsustainable). Spiced Punch* is a hearty scent, perfect for the upcoming festive holidays. A warming combination of bergamot, orange, cedar and cinnamon with a seasonal sprinkling of clove, ginger, nutmeg and vanilla that ensures your surroundings are evocatively fragranced for the dark nights ahead. The DP London Body Care and Home range is available to buy online (www.dplondon.com) whilst the Limited Edition Pearl Lowe for DP London Candle Collection is available exclusively from ASOS.com and Selfridges. Spiced Punch has my name all over it- I love autumn, spicy scents and holidays! Plus, I like the packaging. My husband will think I am nuts but candles are good when the power goes out right?? I have decided to dip my toe in the scented candle-warm cosy Autumn night thing, whilst I won’t yet be going Diptyque/Jo Malone etc just yet, I shall start with some gorgeous ones I have seen in TK Maxx! I was eyeing these up on ASOS the other day – I kinda wish we had scratch and sniff screens as the candles sound lovely!